The classic trio of Clint Eastwood spaghetti westerns is over sixty percent off at Amazon today only! 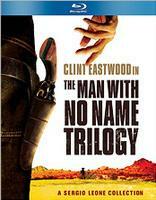 The online retailer is selling 'The Man With No Name Trilogy' for just $23.99 (66% off suggested list price). Click here to Pick up this recommended set for your Blu-ray library now!